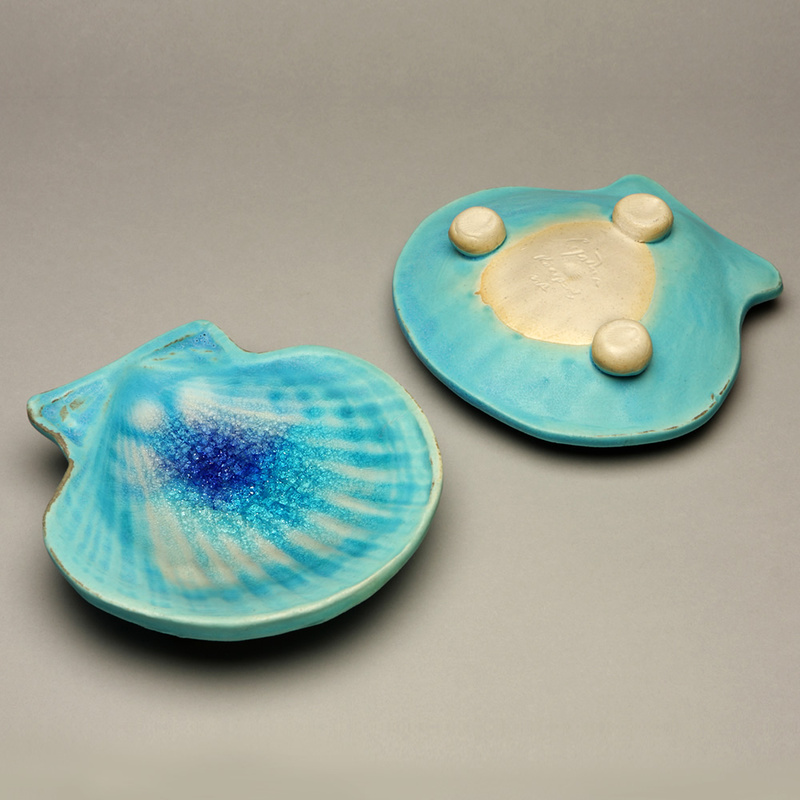 This colorful hand built Clam Shell Dish is created by draping high fire off-white stoneware clay over the back of an actual shell. 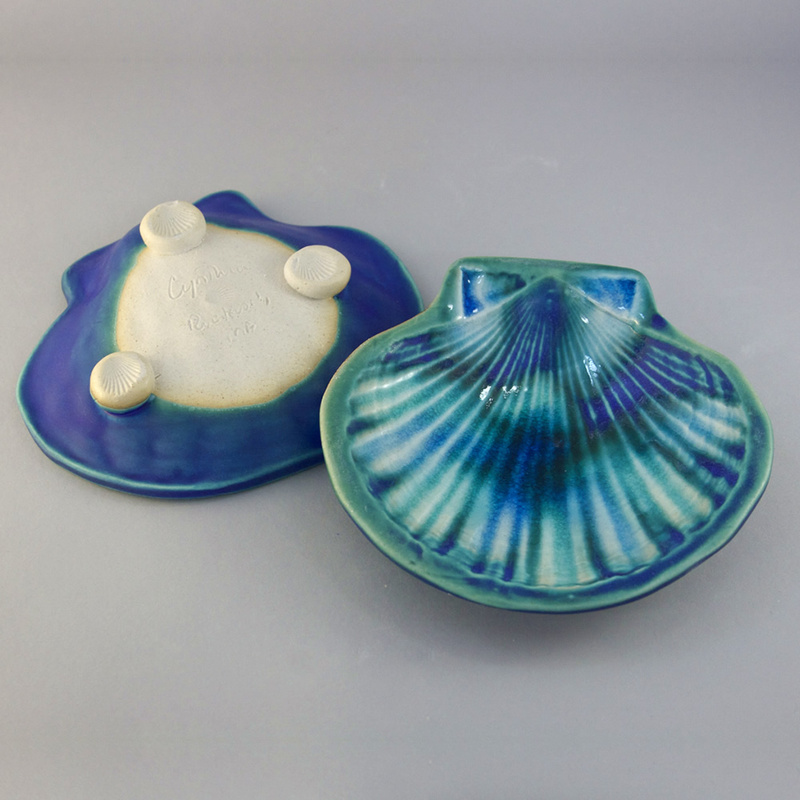 As the clay dries, the clay is cut and the shell removed. 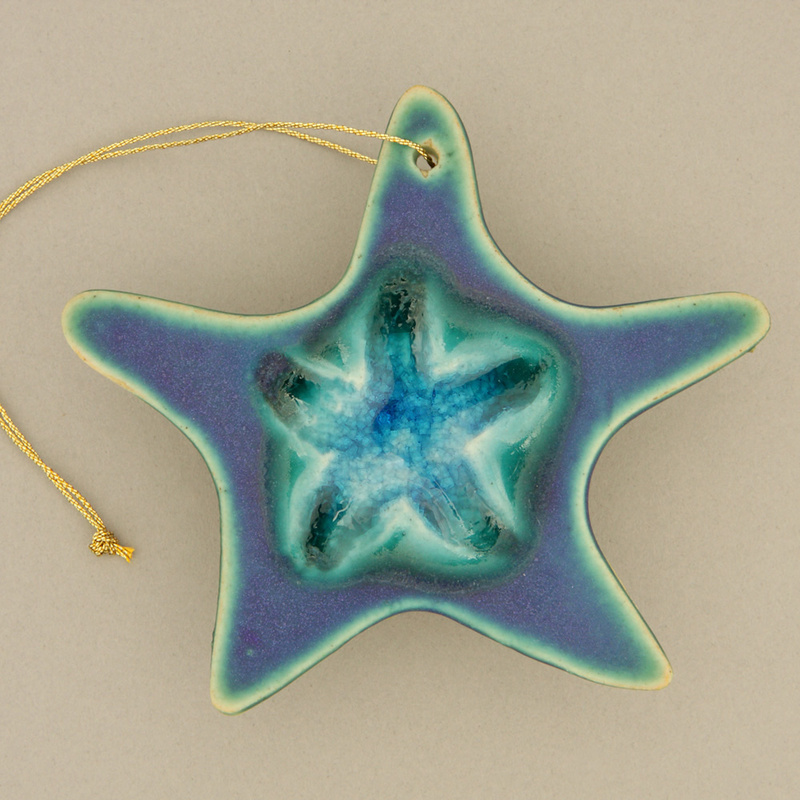 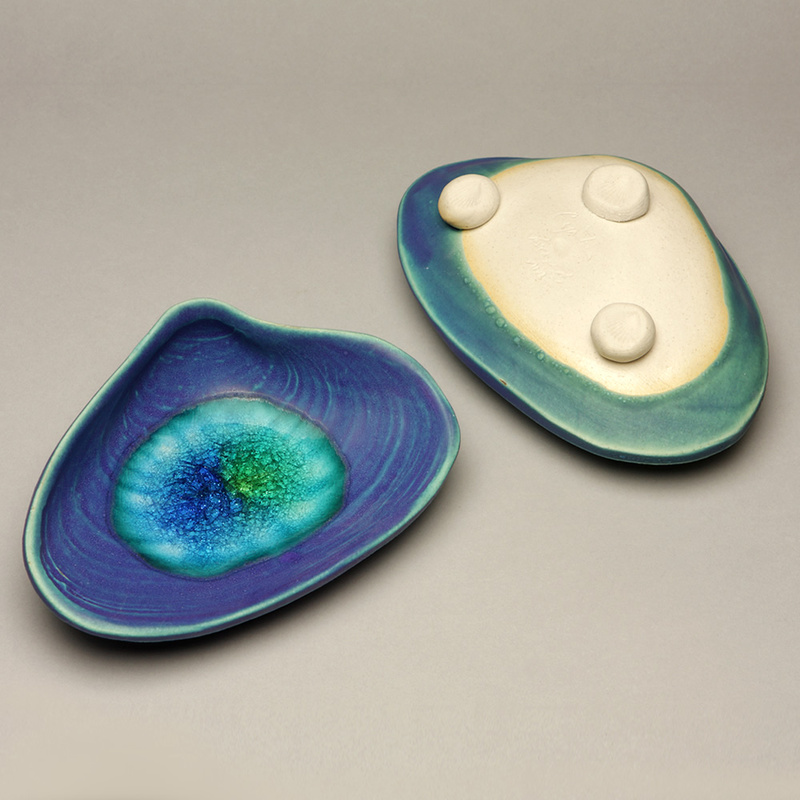 Three little balls of clay feet with shell imprint support the bottom and local beach glass melted into a range of blue green glaze creating a sparkly effect.